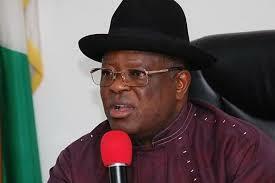 Gov.David umahi of Ebonyi state has suspended the state commissioner for solid minerals and development, Chief Francis orji, indefinitely for gross misconduct. The commissioner for information and State orientation made this known to news men during a joint press briefing with other state executive council members. According to him, the former commissioner committed acts embarrassing to the state government . With this development, the deputy principal secretary will take charge of the office for 30 days .